Contact Kristin Whitman at kwhitman@tappi.org with any questions you may have. TAPPI Connect's Mentor Match unites Mentors and Protégés to share resources and experiences, while working together to achieve professional and personal goals. Mentor Match will offer the flexibility and creativity for better professional development. 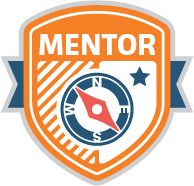 Fill out their Mentor and regular Connect profile with as much information as possible. Attend a scheduled kick-off call. Commit to an agreed upon schedule for meeting with their Protege. Provide guidance and assistance through project-based, career-oriented, and/or volunteer mentorship. Exercise good judgement when committing to multiple Proteges. It is recommended to take on no more than 2-3 Proteges at one time. Fill out their Protege and regular Connect profile with as much information as possible in order to find a great match. Be the ones to facilitate the partnership - responsible for reaching out to Mentors for help. Establish clear goals for the mentor/protege relationship. Mentors have the right to back out of a partnership if the Protege's goals are not well formed. Only one mentor at a time. Mentor Match will be open to any current TAPPI member. Both Mentors and Protégés must apply, and are then matched-up to work together according to their needs, interests and talents. The mentoring will take place over the course of 6 months and can be extended to meet each team’s needs. A Mentor is an experienced and trusted adviser within a TAPPI associated industry who will support a Protégé through achieving a professional or personal goal. The Mentor will share and receive resources, advice and teachings with a Protégé. A Protégé is guided and supported by a more experienced person within the industry they are interested or involved in. 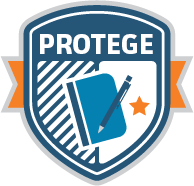 The Protégé can also receive and share resources, advice and teachings with a Mentor. Mentors and protégés have designated windows to sign-up and be matched. It takes only a few minutes to complete an online application form and you can reference the ‘HOW TO’ section for help. During the application process, Protégés can view the Mentors available and reach out via email (outside the system) to find out if there is a mutual interest. We do our best to accommodate everyone and suggest that Mentors have no more than 3 Protégés at a time to avoid work overload. At the start of a mentor match, participants will join a kick off call and then additional meetings will take place at set intervals to assure regular communication. Using the online application, Protégés will complete a form upfront to use as a way to focus the mentorship period. TAPPI will recommend that mentors and protégés spend one hour connecting each month. Does a match have to be local? No. Thanks to TAPPI Connect, members from across the globe can easily communicate by whatever method works best for them: through TAPPI Connect, phone, Skype or email.